Sweet, soft and small, this rechargeable lamp in the shape of Miffy. 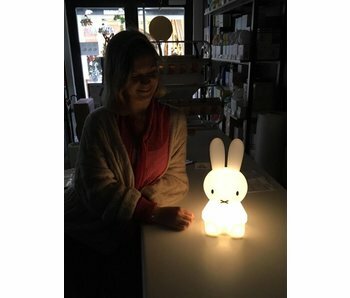 A lovely cute nightlight for young and old, because everyone really loves Miffy. Miffy First Light is 30 cm in size, USB rechargeable and has a dimmable LED module.